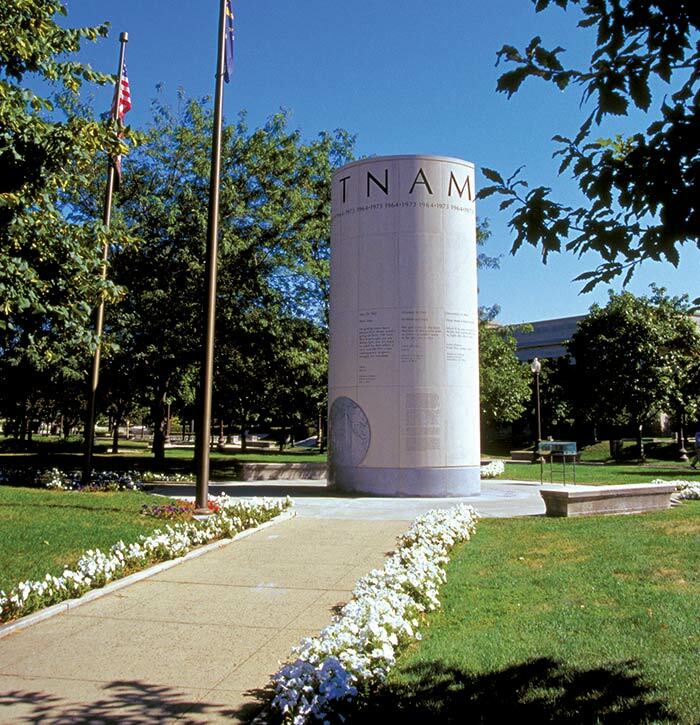 The Vietnam War Memorial is one of two cylinder limestone and granite sculptures created by Indianapolis architect Patrick Brunner. The other sculpture honors veterans of the Korean War. The Vietnam cylinder was designed to be slightly larger, reflecting the greater size, duration and number of casualties of that war. THE CONVEX SIDE OF THE MEMORIAL, which faces the street, includes excerpts from letters written by Indiana soldiers to their loved ones at home. 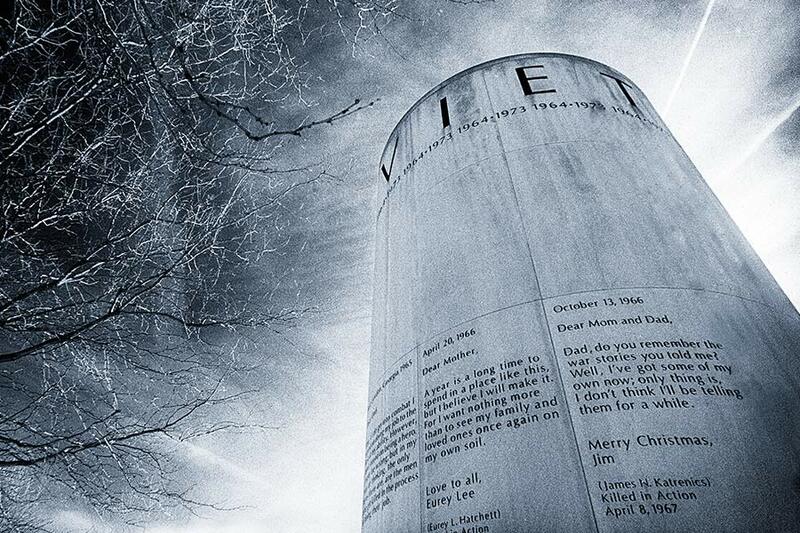 On the concave side of the memorial are the names of the 1,525 Hoosiers killed or missing in action in Vietnam. The Vietnam and Korean War Memorials were dedicated together by Governor Evan Bayh in 1996. The Vietnam War Memorial is 12 feet in diameter and 25 feet tall.